This year’s Jazz by the Sea Festival ended on a high note with a cruise on the Dorset Queen when Revolution Club played one of their own unique sets. Written by guitarist Dave Carson it included a mixture of acid jazz and trip hop. Saxophonist Chris Croft, bassist Paul Ambrose and vocalist Penny Humphries completed the band. Their set was played on one of the most beautiful days of the summer as the boat cruised leisurely from Poole Quay to Old Harry rocks and back. Gerry Clarke, one of the festival organisers, said “This year’s festival was a great success and despite our disappointment of not receiving any funding from the Arts Council this year, we were able to put on 40 live jazz events across Bournemouth and Poole. 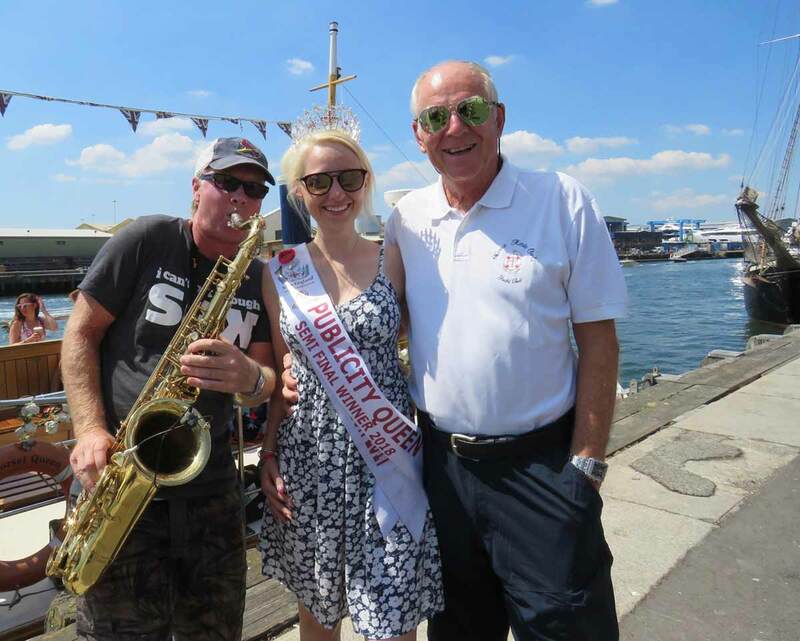 Miss England Semi Final Publicity winner, 25-year-old Samantha Bumford, joined the cruise and live streamed some of the event. Recently crowned Miss Poole 2018, she has high hopes of winning Miss England. See the next 4Dorset for an exclusive interview with Samantha.